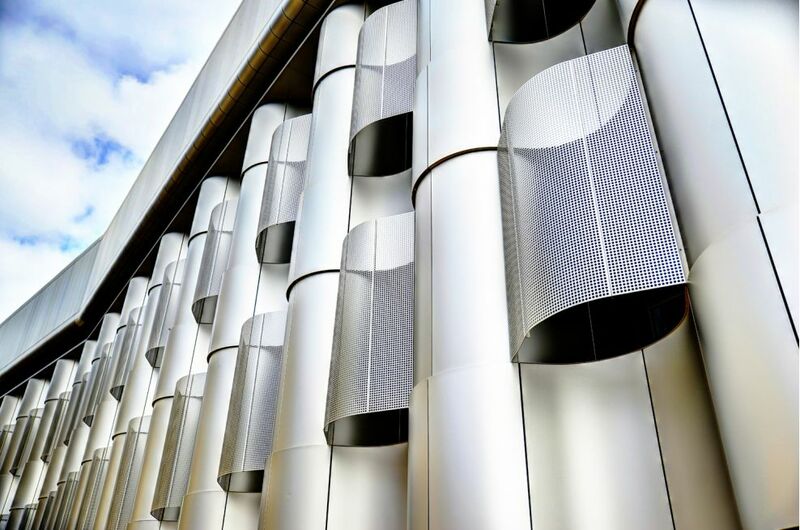 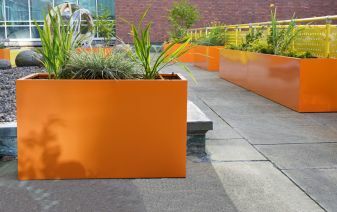 Bespoke powder coated steel planters were commissioned for the University of Bristol’s new £54m Life Sciences building. 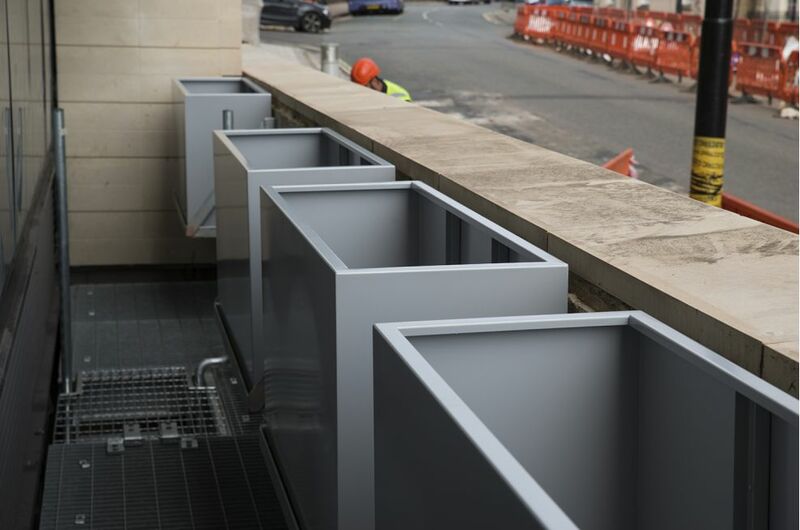 A total of 46 large steel trough planters were supplied, of footprint L 1200 x W 400mm, and with varying heights from H 650mm to H 1400mm. 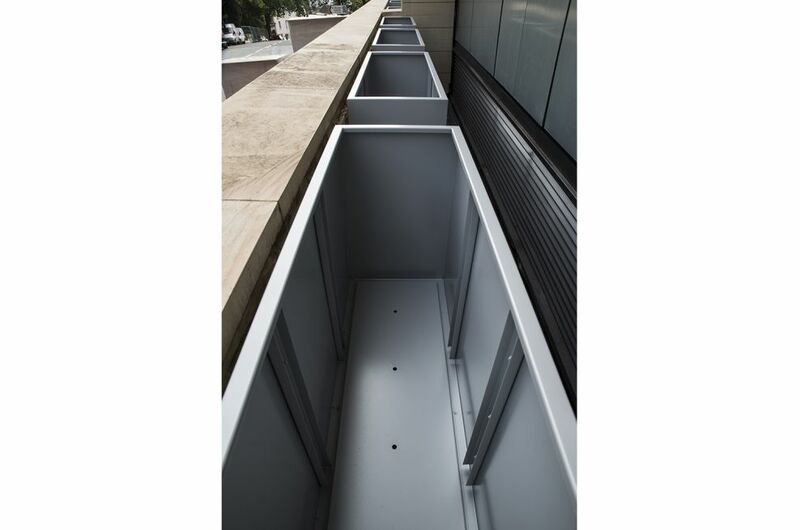 The bespoke planters were manufactured from 1.5mm thick Zintec steel, powder coated to RAL 9006 [White aluminium]. 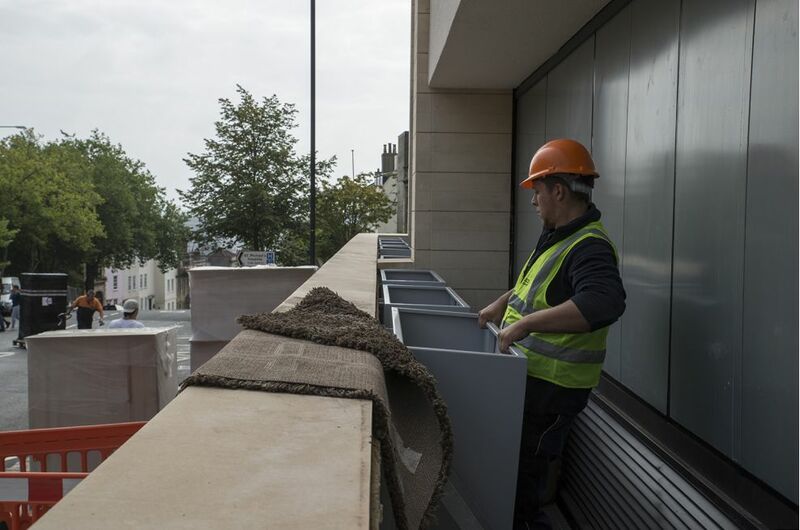 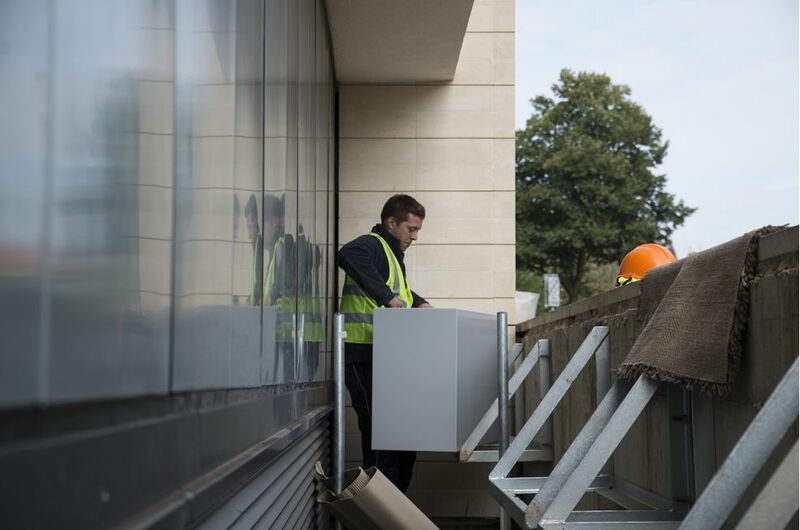 The planters will be used to green a perimeter wall around two sides of the building, leading the eye to a ‘living wall’ at the top of a flight of steps off St Michael’s Hill. 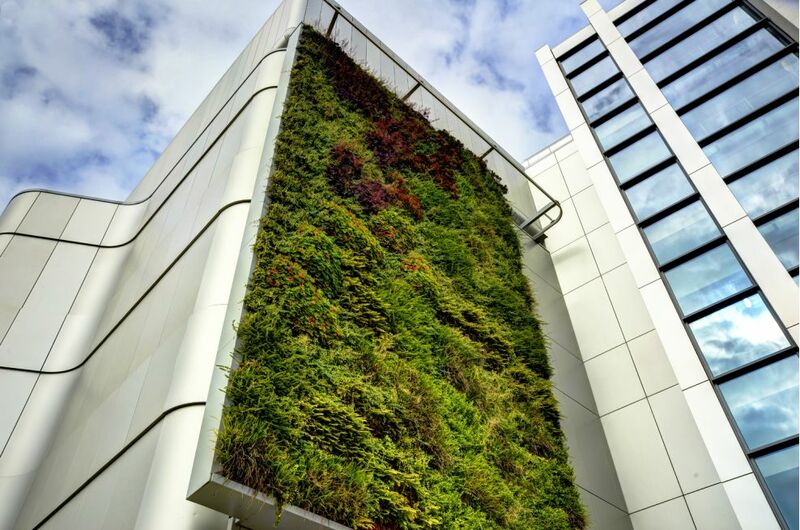 The ‘living wall’ by Biotecture is the most striking feature of the landscaping at the Life Sciences Building, being 41’ foot high, and hosting almost 7,000 plants as well as bat and bird boxes. 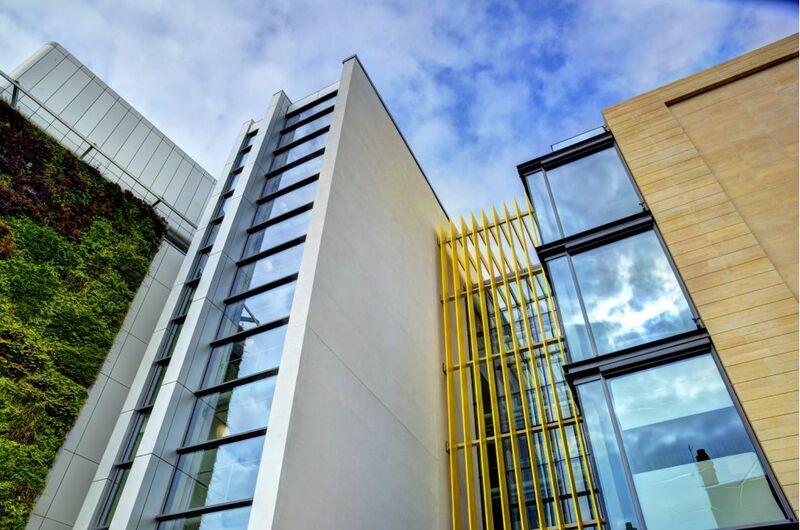 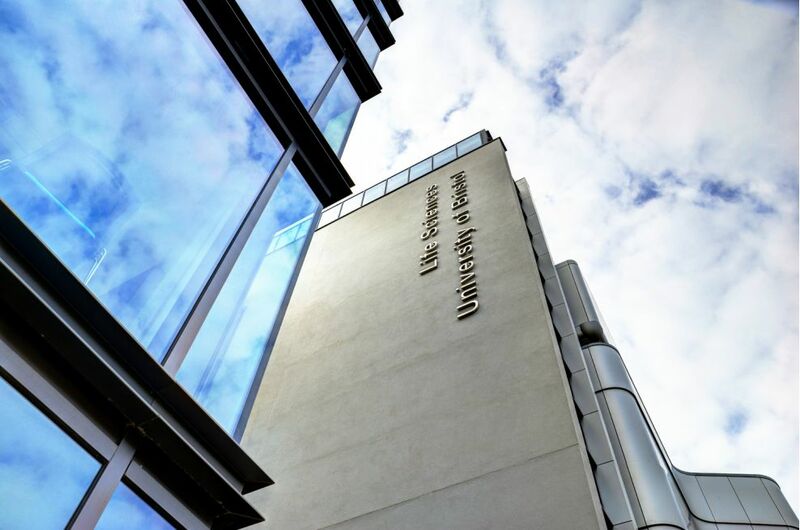 The Life Sciences building is the University of Bristol’s biggest construction project to-date, and provides state of the art teaching and research laboratory space, together with seminar rooms, library, learning and social spaces and staff offices. 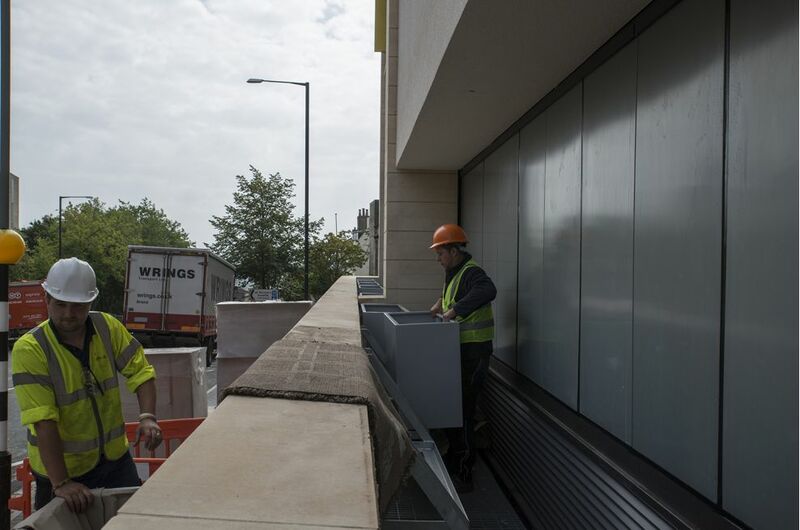 The building is the work of architects Sheppard Robson, and IOTA’s planters were commissioned by The Landscape Group.